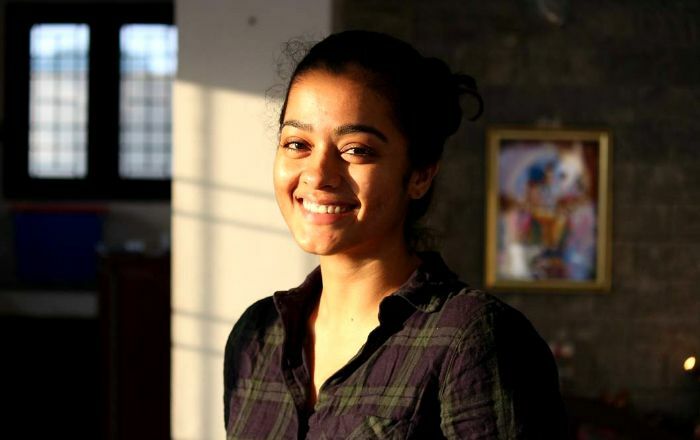 Gayathrie is an Indian actress known for her portrayal of Dhanalakshmi in the cult comedy film Naduvula Konjam Pakkatha Kaanom. The roe that helped her to get visibility among the Tamil audience and has since appeared in a dozen Tamil films. Gayathrie was born on 2 January 1993, in Bangalore, Karnataka, India. She holds a Bachelor’s degree in Psychology. Gayathrie made her silver screen debut in the 2012 psychological thriller 18 Vayasu. She did not appear in any TV series. Playing Dhanalakshmi in the Tamil cult comedy film Naduvula Konjam Pakkatha Kaanom, starring opposite Vijay Sethupathi. She was offered a lead role in the film “Yean Ippadi Mayakkinai” when she was still in 12th grade, however, the film didn’t see its theatrical release. Her film credits include Ponmaalai Pozhudhu (2013), Rummy (2014), and Puriyatha Puthir (2017). Her 2018 release includes Seethakaathi, Oru Nalla Naal Paathu Solren, and Super Deluxe.